Augusta, Georgia, approximately 150 miles east of Atlanta, is easily accessible to most of the Southeast via its prime location on Interstate 20. The Savannah River serves as the state line and separates Augusta from North Augusta, S.C. Founded as a trading outpost during the British colonial period, Augusta is the second oldest and second largest city in Georgia and today stands as a center for medicine, the military, and manufacturing. The city, however, is likely best known as home of the Masters Golf Tournament, held the first full week in April. 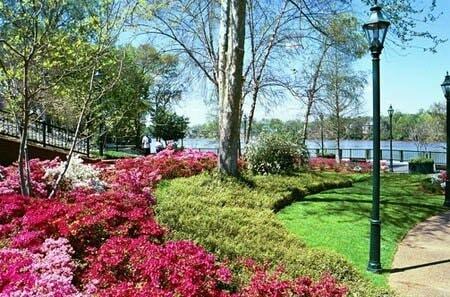 Augusta has much to see and do, from touring historic homes and fine art exhibitions to relaxing along Riverwalk Augusta, a two-tiered park along the historic Savannah River. Check out www.augustaga.org for more information.